It is interesting to note the pattern currently developing in the German DAX. You can clearly see the 'staircase' of higher and higher lows in place from early December last year before price stopped moving up in June. Since then, the 'staircase' has reversed - lower lows and lower highs have been in place since then. 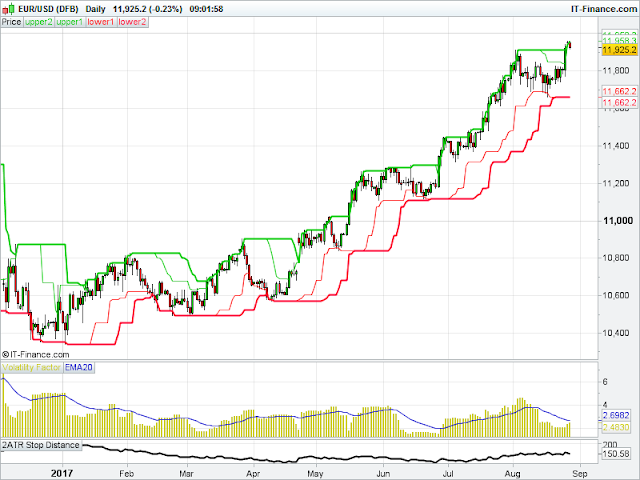 The price channels clearly show me this staircase effect. 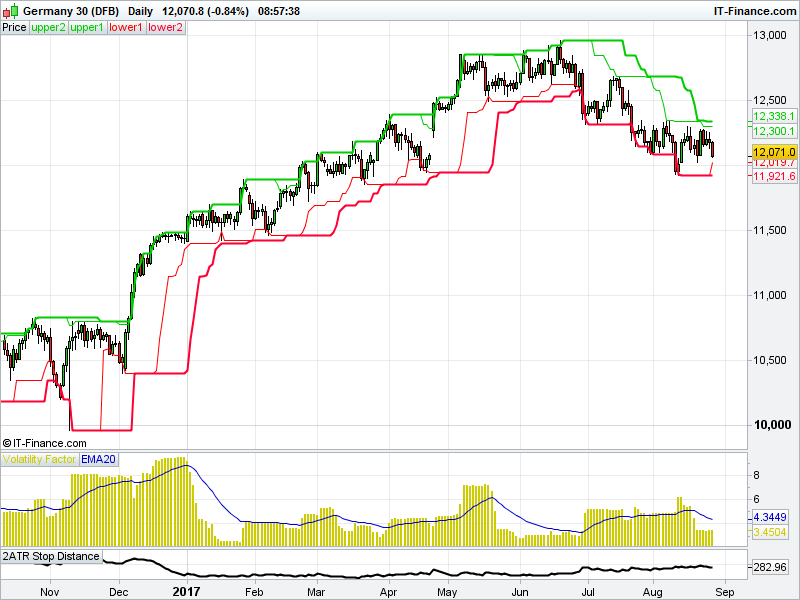 This pattern of lower highs and lower lows is currently not being replicated in the major US indices, or in the UK FTSE. Meanwhile, the EUR/USD is clearly showing an uptrend, breaking out the range that it held in the early part of the year. Gold is a chart I am watching with interest. Price is knocking on the door of the $1,300 level again, having got close a couple of times earlier in the year. You can clearly see that price has been stuck in a $100 range for almost 6 months. 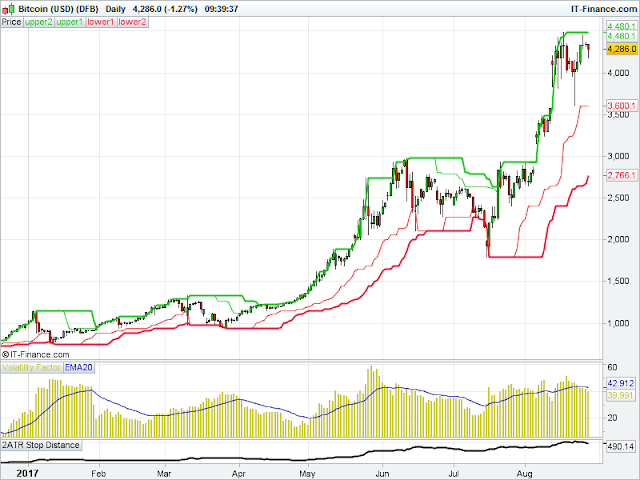 Will it be third time lucky to clearly break through the highs for the year? At some point market conditions can change from trending to non-trending. 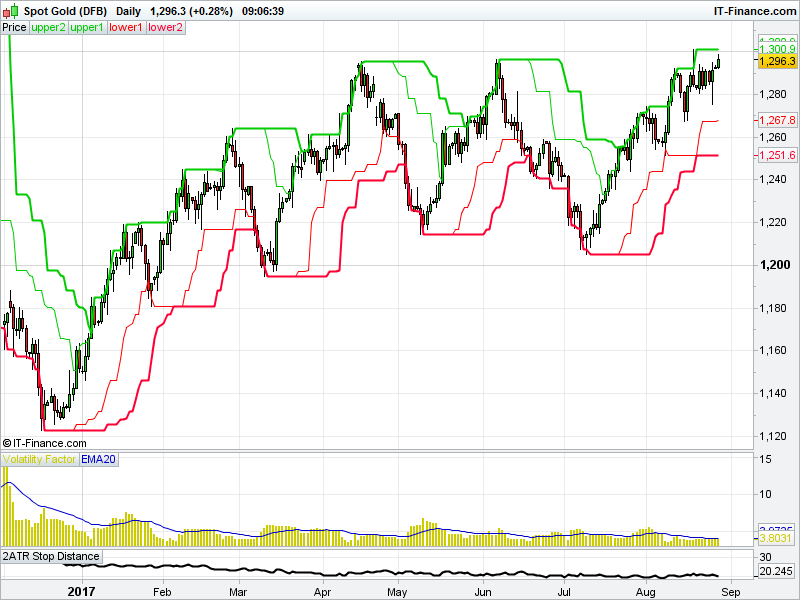 It may be that gold starts to trend if it gets above $1,300, it may not. We just don't know. All trend followers would do is observe price in the moment of now, and if they get a signal based on their entry (or exit) parameters, they will take it without a second thought. 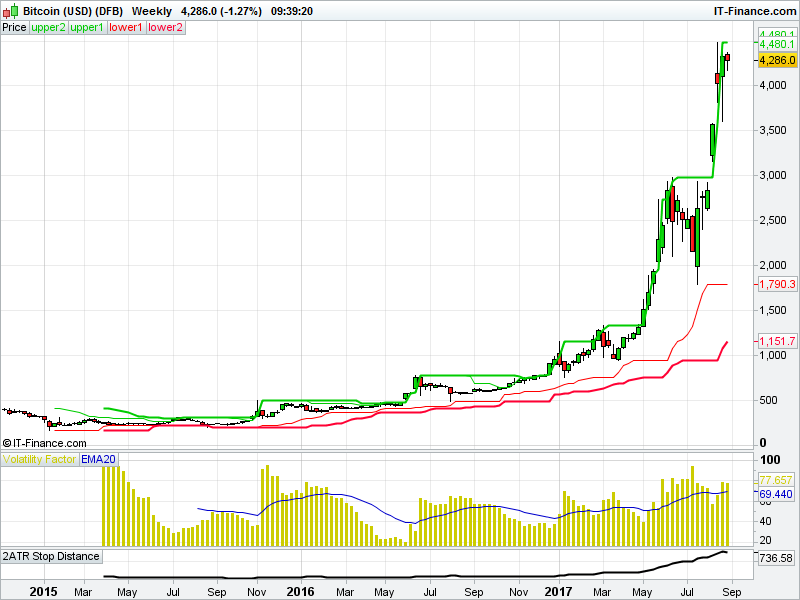 Finally, I have a couple of charts of Bitcoin - one on my daily timeframe, the other a longer-term weekly timeframe, with the same price channel parameters. What these charts show is how on the daily timeframe, you would have been stopped out in June following a nice uptrend over the previous couple of months. Whereas, on the weekly, you would still be in the trade that gave an entry signal last year! Hi, Steve. How's your trading going? You made no trades since April? 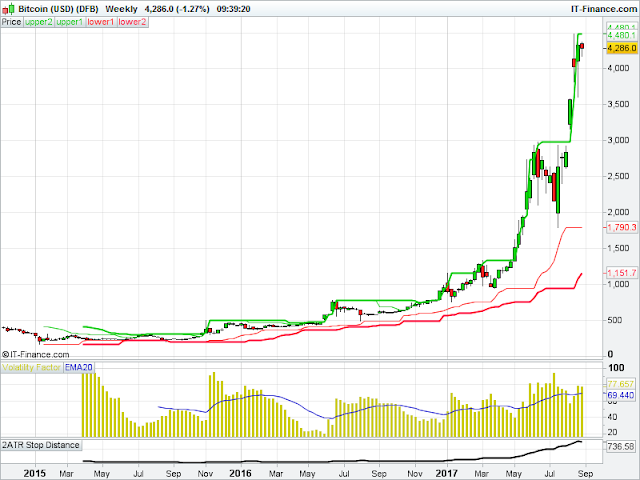 Hi Jure - after getting stopped out of all my positions in April took a bit of a break, and stopped recording all my trades on the blog at that time. There's nearly 5 years worth of trades and performance metrics shown, so it gives readers an idea of what can be expected using a trend following approach. Yes am still trading in exactly the same manner. Hope everything is well with you. Not too good this year, very few stocks developing consistend trends, and I missed some winners like MLP, NVDA and AAOI. Currently holding EVRI and NRG and hope for the best. I guess you entered the GLD trade yesterday. Looks a bit extended ST from my point of view but I wish it works out for you.